We deliver the tubs as a flat-pack. The prices of the TÜNNI Comfort include assembling in France. Depending on the place in France transport costs have to be added. When you order has been confirmed we will contact you by telephone for a delivery date. If you wish to assemble your tub yourself (you will receive the tub as a flat-pack) you will save the assembling charges. See the price page for current prices. The SHOWER CUBICLES are transported complete, it is possible to disassemble the shower cubicles in the case the door of the bathroom is not wide enough. You can order the products by e-mail, stating your address data. When we have received the order we will send you a confirmation by return of post. A pre-payment of 50% is required. The rest is required to be paid cash on delivery. For your convenience we deliver your tub as a flat-pack or assembled. For both type of deliveries we will offer you a transport price to you home in France. 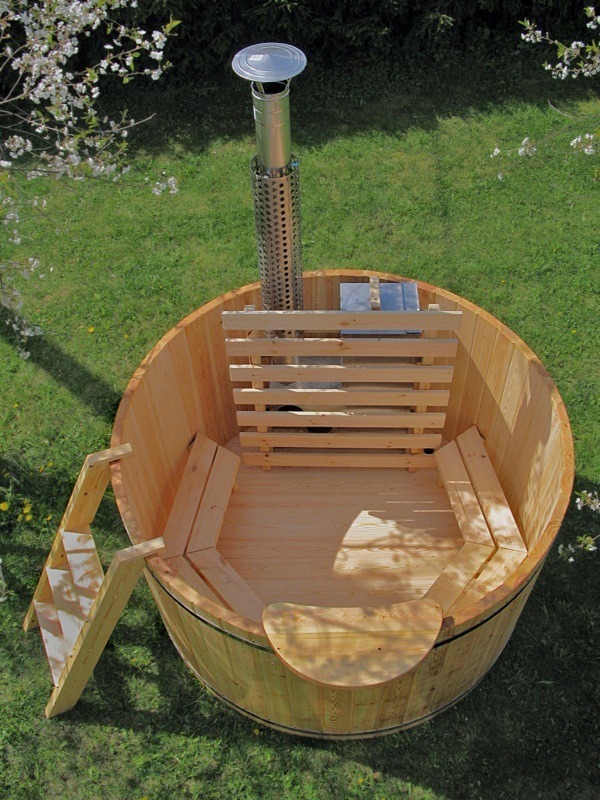 The tubs are supplied with a stainless steel stove, divider, steps, a bottle of linseed oil, seats and a PVC-cover or other additional accessory you have choosen.